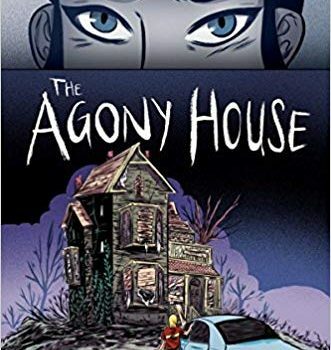 The Agony House, Cherie Priest (Scholastic/Levine 978-0-545-93435-0 $18.99 272pp, hc) September 2018. 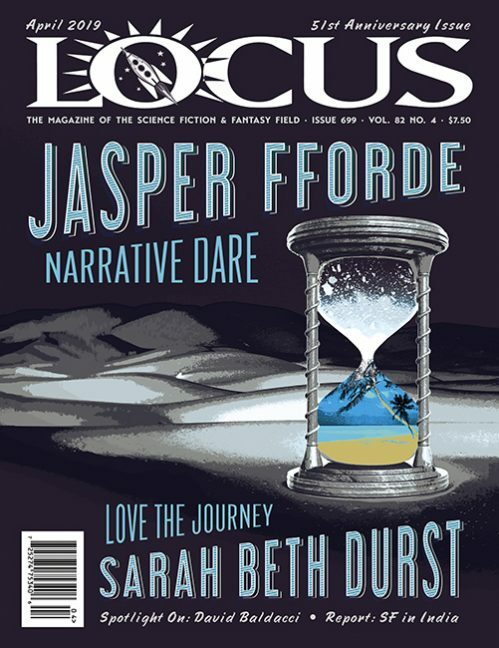 Cover by Tara O’Connor. 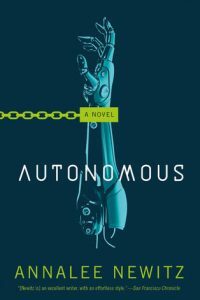 Cherie Priest takes a pause from adult fiction with this second foray into YA after the cyberthriller I Am Princess X. This time she goes full creepy with a haunted house story set in New Orleans that also manages to throw in a hefty dose of the history of comic books and some thoughtful consideration of the issue of gentrification. 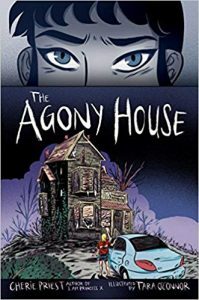 Combined with Tara O’Connor’s illustrations, The Agony House blends ghostly visitations with classic mystery solving and serious social commentary to give readers a smart and surprisingly topical read. Seventeen-year old Denise Farber is not entirely thrilled to be moving back to New Orleans more than a decade after Hurricane Katrina. But, along with her mother and stepfather, she is there to help out as they pursue a dream of opening a bed & breakfast in a long abandoned house. It means a new neighborhood, new friends, and doing a lot of the work themselves, but Denise is willing to do what she can. What she didn’t bargain on is the creepy footprints that appear in the dust, or the dangerous accidents, or the mysterious floral scent that appears from nowhere. It doesn’t take long before she is certain the house is haunted and, more importantly, that the ghost wants her family out. In addition to some excellent character develop­ment, Priest does a great job in The Agony House of explaining how the family simply cannot run when things get scary. They have all their money sunk into the house; leaving is pretty much impossible. 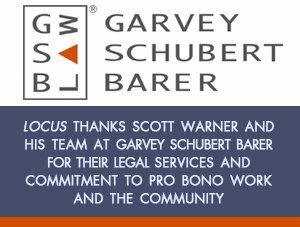 There is a lot of talk about money in the text, gathering dollars for dinner, taking the bus, worried discussions about contractors and concerns about a bank loan. This sort of real-world discussion, extraordinarily rare in teen fiction, is going to sound familiar to many readers and serves as an excellent balance to the fantasy elements that come with the haunting. When the family has to run to a motel for the night, it’s a very big deal how they are going to pay for it. The economic pressure fuels Denise’s desire to get to the bottom of the mystery and provides a degree of tension that propels the plot just as effectively as all the horror (although admittedly, those bits are much more fun!). The house’s secrets unspool as Denise and her neighbors Terry and Norman dive into an unpub­lished comic book found in the attic. Recounting the adventures of Golden Age heroine Lucinda Might, the comic’s setting is eerily familiar, and soon the ties between the book and the house are undeniable. Just what Lucinda’s creator, who died under strange circumstances, had to do with the house (and its long missing owner) and why the manuscript was left in the attic, are questions Denise and her friends have to answer if they want to get to the bottom of the haunting. 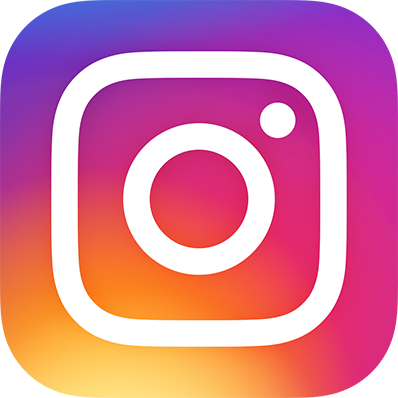 This means some online googling, old-fashioned library research, and talking to neighbor­hood residents who have their own concerns about what Denise’s family plans with the house. The plot moves along at a steady clip, with the sticky New Or­leans climate always thrumming in the background. Everybody is hot, everybody, is tired, yet everybody remains doggedly determined. You just don’t know if it’s the haunters or the haunteds who are going to win when the house makes its final stand. Kudos to Priest for crafting a supernatural mystery that blends classic crime-solving with a thoroughly modern sensibility. The inclusion of sections with the actual pages from the Lucinda Might comic book, courtesy Tara O’Connor’s outstanding illustrations, was also a brilliant decision. The Agony House is a fast-paced read that tackles significant social issues while never deviating from its horror roots. This is how you give perceptive readers a good time: you don’t write down to them, you dish out the thrills and chills in a narrative that also makes some insightful assessment of how we live along the way. We need more of this in MG and YA fantasy, much much more.